It is really nice to report a finish this week. My Jamestown Landing is done!! This was started last year and was one of my UFO's for this year. Nice to have it finished. 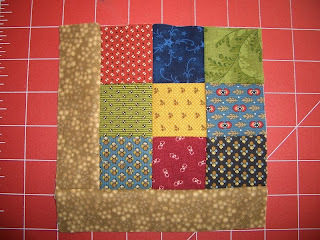 I also completed the block below for Sunshine Guild on Tuesday Night. 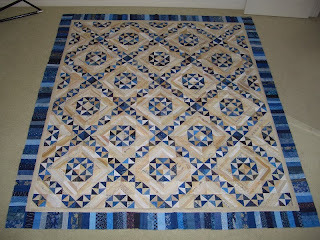 This is another Bonnie Hunter free pattern called "Dancing Nine Patches"
A couple of adds to report for last week also. 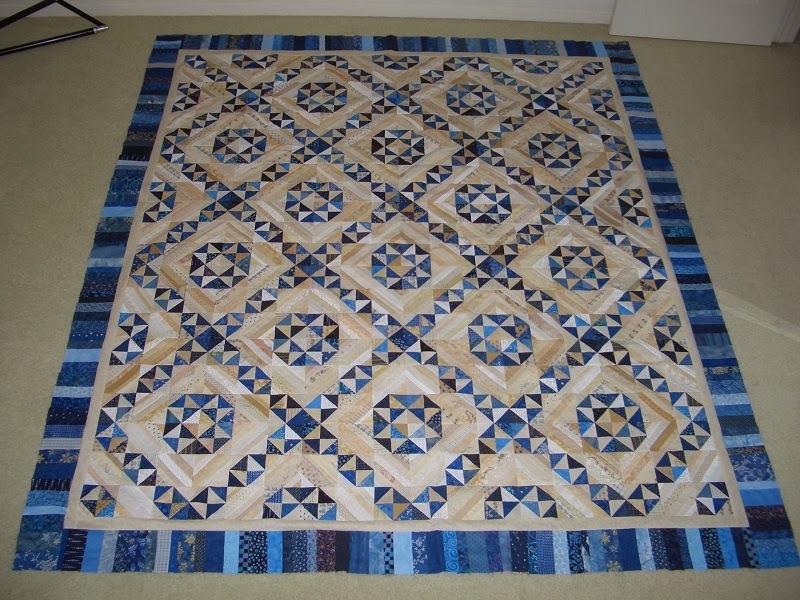 Took a trip to Fat Quarter Quilt Shop located in Vista a little over a week ago. 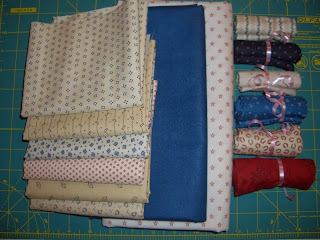 This is one of my favorite shops in San Diego and has a great selection of reproduction fabrics. A gift card from my friend Sandi at Kwiltnkats came in handy!! Thanks Sandi! So here are the updated numbers. Not as good as I had hoped for the year, but I still have December! Used this week: 16.75 yards. Used Year to date: 129.0. 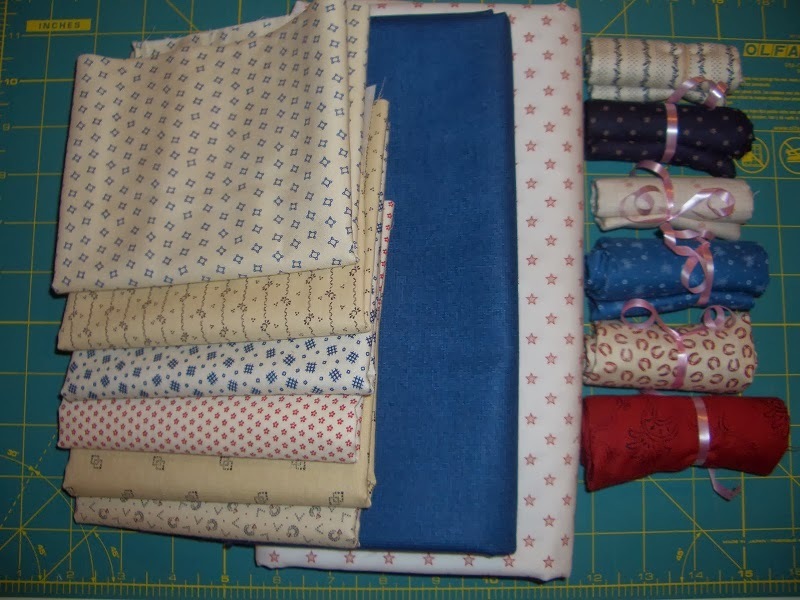 Purchased this week: 6.0 yards.